This has been audience tested with clinicians and patient and both groups rated the quality of the DVD highly and considered it to be a patient friendly resource. After watching the DVD, patients stated they felt more able to manage their disease, more motivated to exercise, and more able to manage their breathlessness. All clinicians said they would recommend it to patients. 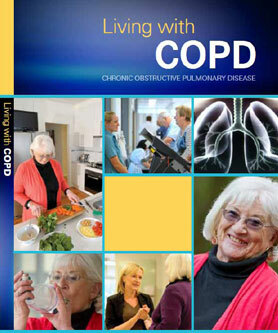 The DVD can be a valuable addition to clinical practice and COPD patient education. To obtain copies of this DVD resource please download the order form. The Use of Qualitative Interviews to Gain Insight into Older People with COPD and Asthma. Thoracic Society of Australia and New Zealand; 2008; Melbourne. Respirology. McDonald VM, Simpson JL, Higgins I, Gibson PG. Multidimensional Assessment of Older People with Asthma & COPD: Clinical Management and Health Status. Age Ageing 2011;40(1):42-49.